Is your gifted child ready for more? 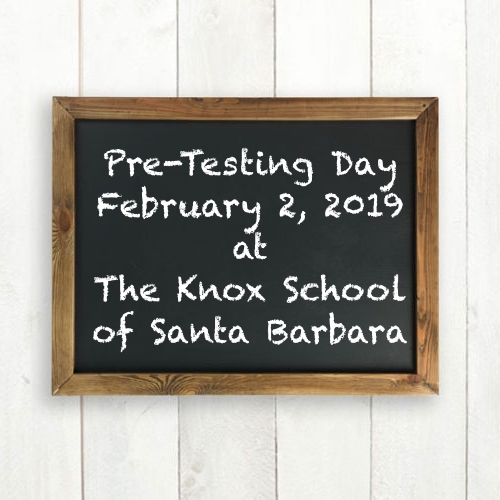 If you’re curious whether your child qualifies to apply to The Knox School of Santa Barbara, join us on our Pre-Testing Day. Your child can take our pre-test evaluation conducted by experts in giftedness for free. Testing takes approximately an hour. During the group testing, parents are asked to stay and fill out an observation form on their child. Depending on the results, parents can use the scores for application to The Knox School or the school will recommend further testing. Appointments for a pre-test are required. Please contact The Knox School at (805) 222-0107 or info@KnoxSchoolSB.org to RSVP. The Knox School of Santa Barbara is now enrolling for grades K-8th for the Fall of 2019. For details on applying, please visit www.KnoxSchoolSB.org.